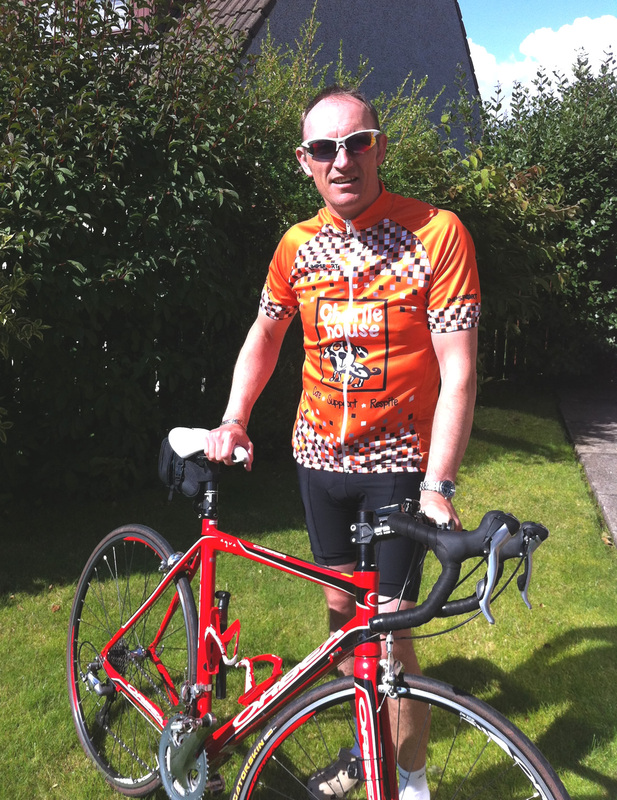 Craig Johnstone signed up for Ride the North 204 to support Charlie House. Craig kindly wrote a short account of his experience and his motivation. After missing out on the 2013 ride and talking to some of those lucky enough to have experienced the ride, signing up for 2014 was a must do thing, though several hundred others had the same idea with the spaces going quickly. Making the train journey north to Inverness, the “experience” began as we joined several other parties who were taking part and upon arrival at Inverness Station we were invited to join around forty of the Stonehaven Mammoths for dinner, sharing stories of last year’s ride and some of the recent training regimes providing much humour and insight into what lay ahead. Friday morning’s departure went well and we set off into the Highlands admiring the views of the Nairn viaduct and Dulsie bridge amongst others, whilst having regular drink and food stops and chatting to the other riders we met on the road. That night, stories and tales of the first day accompanied a few cold drinks in the bar allowing riders to re-live the experiences and challenges of the other riders. On Saturday morning, we were all faced with a wet morning ride all the way to Rhynie, where the local community provided us with a welcome cup of hot soup and sandwiches before the sun came out for the climb over the Suie. The run to Aberdeen allowed for a bit of a sprint for the line coming into Countesswells, though perhaps we riders weren’t quite in the same league as those on the “Tour”, it did give everyone a similar type of experience after a day in the saddle. The whole ride was well organised and supported by all of the volunteers in ensuring the logistics from check-in to arrival in Aberdeen went smoothly, the enjoyable rest stops, the assistance of the Motorcycle marshals along with the medical support and the friendly chat from all of the riders. So, why did I do it? Well, in addition to the personal challenge and the social aspect, I had only started cycling regularly the previous year; it was an opportunity to raise awareness and money for a local charity called Charlie House. Charlie House was co-founded by my wife Tracy and other parents and professionals here in Grampian to support children and young adults with complex disabilities, medical needs and life limiting conditions, such as our own son Louis who requires 24hr care and medical support due to his disability. We couldn’t find any support locally to help or get advice from when we were discharged from hospital and were told that Louis would need 24/7 care for the rest of his life.